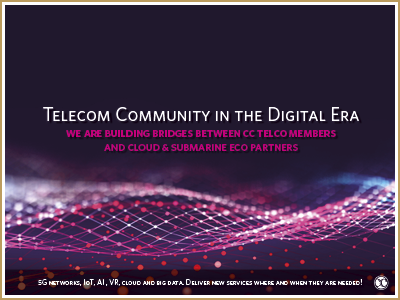 Carrier Community (CC) is a global telecom club established in 2008 and organizing annual global carrier community meetings in Dubai since 2014 for the members. CC was organizing its 5th annual Middle East 2018 GCCM – Dubai at the Raffles Hotel on October 10-11th, 2018 successfully. More than 250+ Club Members representing decision-makers from the Tier-1, Tier-2 and Tier-3 iwere meeting and networking in Dubai. The Carrier Members were getting together from Voice, Data, SMS, Mobile, VAS, Cable, Satellite, Data Centers and other related segments. For further details regarding event statistics and post-event material, please scroll down to view. Meet more than 250+ wholesale members representing 130+ regional and international telecom operators. Special Rate: We have arranged special contingent rates with the Raffles Hotel which include breakfast and all taxes. or click here and complete form with credit card details to process your request faster and secure the room. Tannya is a techno-optimist who is passionate about carving out an exciting cloud-based future. She works with VMware, a market leader in cloud infrastructure and volunteers her time to consult tech-startups in the region. Tannya was a speaker at one of the first TEDx Youth events in Dubai. Over the past 5 years, she has been a part of Intelligent Optimism, a global organization that encourages people to be optimistic about the future based on science and technology. Tannya is a science and technology journalist. 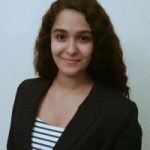 Her articles have been featured by SME strategy, and by editors on the top news forum Medium. 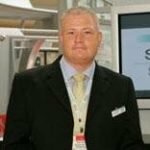 ICT Sales Director with over 25+ years experience with over 15 years working Internationally. Performing Client Engagement & Business Development, Project & Service Management, backed with a track record of successfully winning business & delivering projects whilst increasing the profitability & revenue of those services. Strong Technical and Commercial background with good International Management and Relationship building successes. Disciplined and enthusiastic worker with high standards. Excellent communicating skills in dealing with personnel and clients at strategic levels. Diplomat, Listener, Bridge Builder, Motivator and Creative Solution Finder. Over 30 years in telecoms/IT across multiple roles. 12 years in UAE, 7 years in Singapore, and previously in UK – involved in 6 start-ups along the journey. 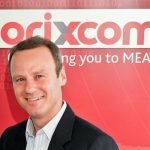 Currently CEO of Orixcom, an international managed services, cloud connectivity and telecoms company, focused on the Middle East. Orixcom solves connectivity and IT problems for large Enterprise and carrier customers, with a focus on providing leading edge solutions which bring both technical excellence and commercial delight. Previously Andrew was Executive Vice President at du (UAE) as part of the founding leadership team. Earlier senior roles included StarHub, BT, Racal. Regular conference speaker on telecom and cloud, and likes to challenge and disrupt the status quo to force change and customer centric thinking. Lives in Dubai since 2005. A Senior Executive with over twenty years of leadership roles in the technology industry. A dedicated individual with a long track record of success in sales, marketing and business strategy with repeated success in technology start-ups as well as one of the World’s largest public companies. After graduating from University in UK, he spent eight years with his first company and a journey from Start-Up to IPO and an impressive listing on the London Stock Exchange in the FTSE100. 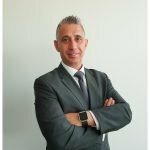 In the last ten years, he has been a VP and member of the Executive Leadership Team at Telstra Global, held a leading role within a Regional Licensed Operator and Data Centre Provider in the Middle East, and today, he is part of the team that founded Orixcom, a Network Operator, Cloud Enabler and Managed IT business which has become a profitable, multimillion-dollar business that remains privately held. 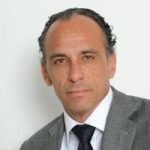 Kareem Sobhy is Head of Sales, Middle East North Africa region based in Dubai. 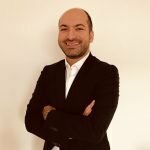 Kareem has extensive experience as Sales Leader supporting Enterprise, Networks, Cloud & IT, Content & Digital Media and Financial Services Verticals in the MENA market, and has key in driving digital transformation in the region and building network and cloud ecosystems in the Equinix Dubai Data centre, which is a regional hub in the MENA region. Prior to Equinix, Kareem held various Sales & Technical positions, including assistant IT portfolio Manger at The Dubai International Financial Centre (DIFC).Kareem holds a bachelor’s degree in computer science and is based in Dubai. Saurabh Verma heads the ICT and Digital Transformation for the MEA region. In his role, he is spearheading the ICT team and is responsible for managing the syndicated research and consulting engagements for the ICT practice. 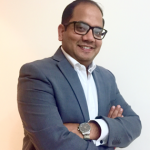 Saurabh comes with 14+ years of research, consulting, and IT sourcing advisory experience. He has got significant experience in the ICT industry, especially in strategy consulting and market research. Saurabh’s expertise lies in opportunity assessment, competitive intelligence and benchmarking, go to market and new market entry, diversification strategies, business model analysis and evaluation, end consumer analysis of technologies, portfolio development and pricing, location assessment, and vendor evaluation for IT sourcing. Over the past decade, Saurabh has been a regular at various ICT conferences across the region. He has been a speaker and panel moderator at several conferences in the MEA region. Additionally, he has closely worked with both IT and Telecommunication companies on their business strategies and various other strategic and tactical engagements. In this previous roles, he has held project delivery, consultant, and business development roles at GlobalData, IDC, IBM, Tholons Consulting, and other firms in the UAE and India. Saurabh holds an MBA in Finance from the ICFAI Business School, Hyderabad, and a Bachelors in Commerce from Christ Church College. MADA is a telecommunications provider offering, International carriers and mobile operators, turnkey solutions and services. Established in the year 2004, MADA footprint currently extends to Europe, the United States, the Middle East, North Africa and Asia. MADA has points of presence (POPs) in major international telehouses in the United States (New York), The United Kingdom (London), and Jordan (Amman). Voice and SMS Services, Satellite and Wireless Data Services, VAS for Mobile Operators, Project Management and Engineering Services. Verscom Carrier Voice has been active in the market since 2003, pioneering and deploying IP based voice termination services across Middle East, Africa and Southwest Asia regions. Verscom Carrier Voice offers its partners a single source for niche call termination to fixed and mobile networks by leveraging its relationships with local partners and entities to provide a quality of service that is of the highest standard. 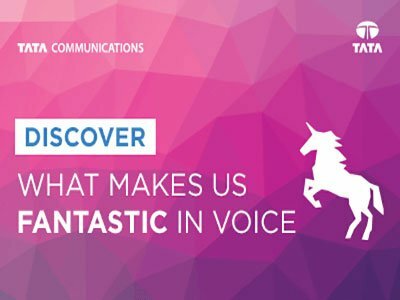 Utilizing broad range of products, destination portfolio, and a ‘best of breed’ IP infrastructure complemented by a superb back office team, Verscom Carrier Voice is able to deliver the best voice services with competitive pricing and quality for both retail and wholesale. Verscom Carrier Voice’s extensive international reach and local know-how combined with a supreme network topology delivers inventive and flawless wholesale and retail termination services to its customers and suppliers around the world. QBR TELECOM INC. completes 2 years in OCT’18 in wholesale voice carrier industry. QBR has grown immensely in terms of revenues and new interconnects ranging from Tier 1 to Tier 2’s in a short while. 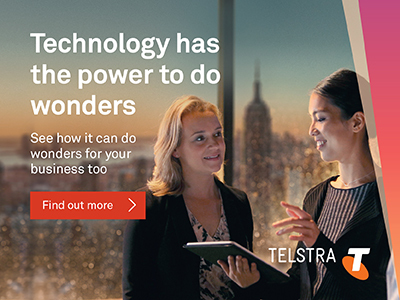 We are always looking to expand our horizons in the voice business and look forward to add more interconnects with the help of our experienced sales team. IT-Decision Telecom’s cloud communication platform allows to develop faster and easier than ever before. Send SMS messages and VoIP calls to more than 200 countries with a single click! We are global communication provider company of Messaging and Voice services with powerful and easy integration API (SMPP, HTTP) for SMS/Verifications. Our SMS and VoIP platform it’s complex solution for sending mobile messages (A2P messaging, 2FA two factor authentication, OTP, marketing and other messages) as well as wholesale Voice worldwide. Enjoy using our services and free unlimited 24/7/365 support." Valuable Infocom Limited registered in Hong Kong is a wholly owned subsidiary of Valuable Group of Companies. We provide premium voice communication services for national telecom operators, mobile operators, wholesale carriers, prepaid operators & VOIP service operators. Valuable Infocom Limited provides a quality service via direct routes & by forming strong relationships with carefully selected partners. Valuable Infocom Limited operates an extensive network of direct routes. Our growth is fuelled by our world-class sales team in every market worldwide, backed up by a deeply experienced ﬁnance and operations team. We achieve success and quality of service to our customers through the people who work for Valuable. Every front-line employee is a wholesale telecom expert with no fewer than 5 years of experience and each member of the management team has 10+ years of telecom experience. Our success is built on meaningful, mutually beneﬁcial business relationships with our customers and suppliers, a strategy that we will continue to deploy and invest globally. Valuable in short is a highly customer-centric organization whose motto is to provide best quality and service to their clients at a reasonable cost to them. GCCM ME in Dubai was an annual regional event where I was able to meet with key partners as well as get introduced to new companies resulting in new opportunities & areas of cooperation. Personally, I was delighted with the robust delegation of attendees for both voice and mobile service as well as the attention to detail from the esteemed organizers. The structure and physical arrangement of the conference was refreshing and provided a welcoming platform to stimulate insightful discussions with clients. 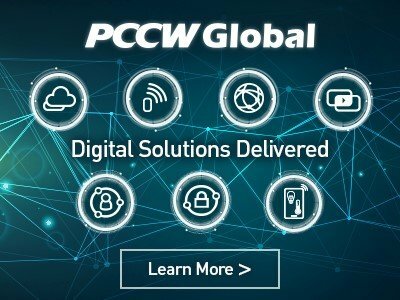 Premier events such as GCCM are a key pillar in the carrier community that enable the exchange of information and opportunities needed in today’s challenging telco environment. Overall, the event was a excellent occasion to facilitate the growth of the carrier business and for all participants to share their views on the market evolution across the product lines.